You’ve no doubt seen plenty of horror movies that start with a documentary crew heading into an infamously haunted house, but Demon House is doing it for real. The new horror documentary comes from paranormal investigator and host of Travel Channel’s Ghost Adventures, Zak Bagans. Bagans writes, directs and hosts the new film, which takes viewers inside the Gary, Indiana paranormal hotspot, known as “the house of 200 demons,” where former residents have reported all kinds of supernatural experiences from possession to levitation. Since The Indianapolis Star first revealed the house’s unusual happenings in 2014, and since then, the phenomena has been reported on USA Today, Fox News and Huffington Post, and with Demon House, you can step inside the so-called “portal to hell” alongside Bagans and his crew and get a first-hand look at the spooky spot. 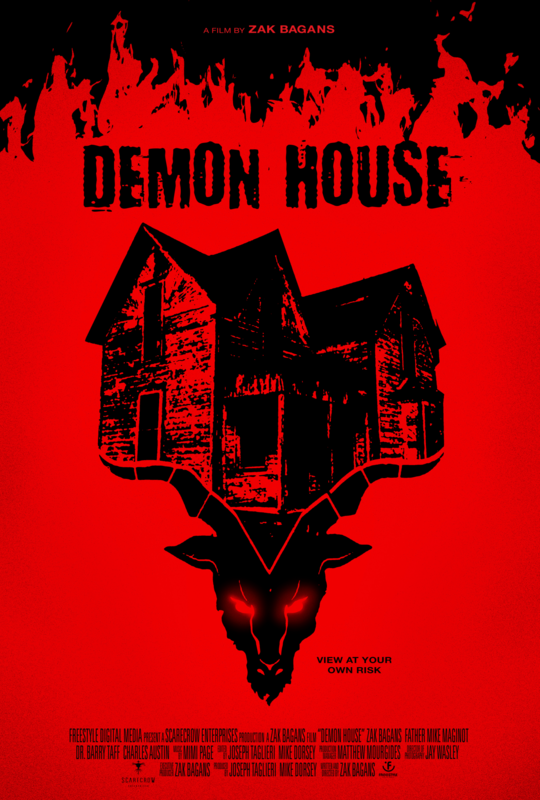 Demon House also features Bagans’ Ghost Adventures crew Jay Wasley and Billy Tolley, and arrives in theaters, on VOD, and Digital HD on March 16, 2018. Watch our exclusive trailer debut below.